Belvedere Designs: November 2016 Customer Photo Winner! 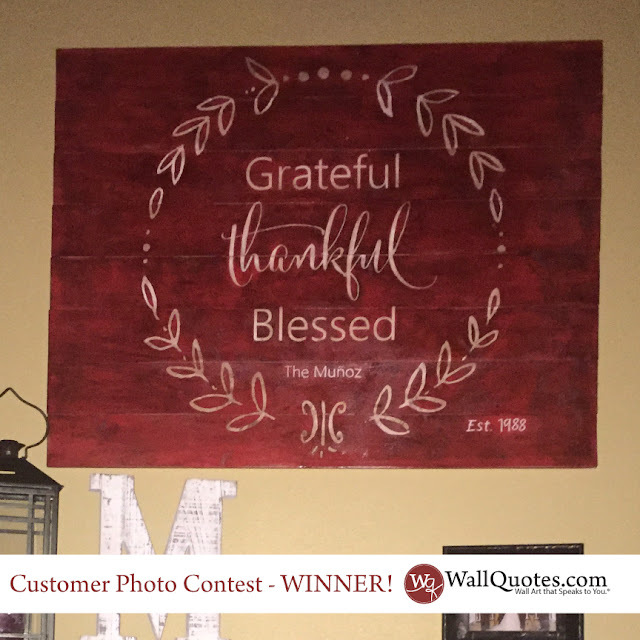 November 2016 Customer Photo Winner! Doesn't this look amazing! I love seeing our customers use our designs in non-typical ways. Want a custom design of your own? Contact our designers at info@wallquotes.com and work with them one-on-one to bring your vision to life!